Create, Learn and Play with our amazing app-enhanced products. 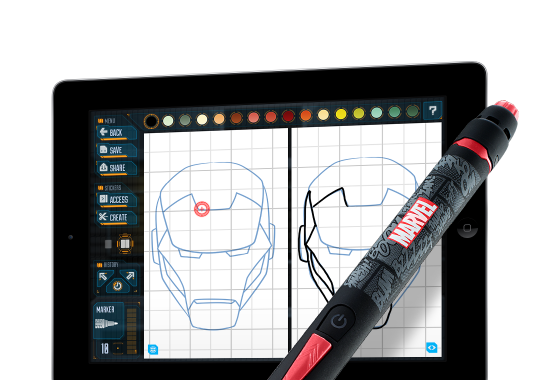 Draw, color and animate with Marvel Creativity Studio! Grab the smart stylus and join all your favorite characters to create awesome artwork!